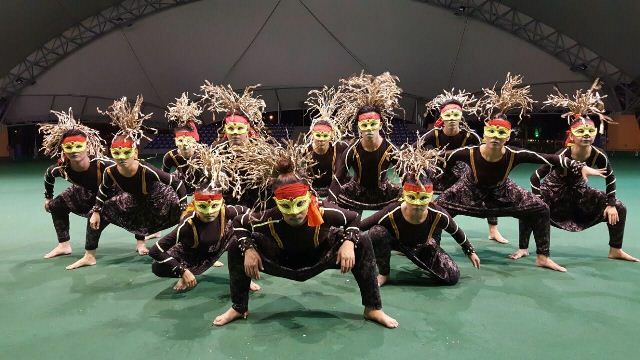 THURSDAY, 22 SEPTEMBER – Universiti Malaysia Sabah (UMS) finished third at the Creative Dance Open Category at the recent Borneo Arts Festival 2016 organised by the Federal Territory of Labuan. UMS, represented by Cul’Art Dance Group under the auspices of the Culture and Arts Department of the Student Affairs Department received cash prize of RM3,000 and a trophy. Cul’Art comprising 12 UMS students took to a dance named “Godu” that tells the story of a mysterious grasshopper that becomes a belief by the Kadazans and Dusuns of this state. The group trained by coach Suhairin Abd Kadir competed with 17 other dance groups, which was also participated by Brunei and Indonesia. Photo: Culture and Arts Division, Student Affairs Dept.